How to Factory Reset Phone with Broken Screen? Unauthorized breach, sharing, or transfer of public or private information. Impersonation, identity theft, and character assassination. Unauthorized use of personal information such as credit/debit card details, date of birth, social security number, names, etc. All these aforementioned concerns are preventable, and the preventive measure to take shall be discussed in the following paragraphs. "How to factory reset an iPhone with broken screen" cannot be fully discussed without giving sound tips/solutions to solving the problem. We've discussed two ways to discuss two ways to factory reset an iPhone with a broken screen in the following paragraphs. Factory resetting an iPhone with a broken screen is almost impossible, but there are tricks to reset an iPhone with a broken screen. 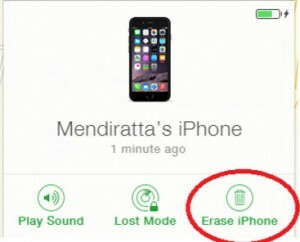 The need to reset iPhone with broken screen arises when you don’t any of your private and personal data to be in the iPhone before selling it or sending it to a technician for repair. iMyFone LockWiper is a good tool for resetting a broken Screen iPhone. 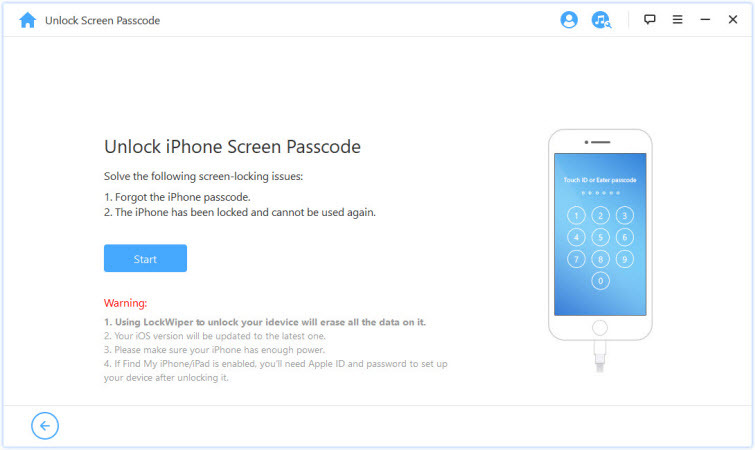 LockWiper is useful in resetting a disabled or locked iPhone and iPad. So, if your iPhone screen is bad and not accessible, you can easily remove both the lock screen and iOS information using iMyFone LockWiper. We highly recommend this tool for resetting a broken screen iPhone. 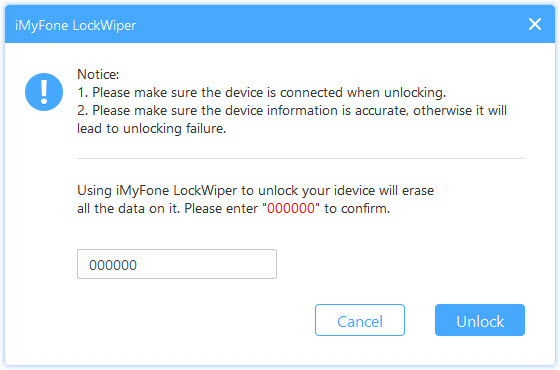 iMyFone LockWiper only requires simple clicks to factory reset an iPhone with a broken screen. LockWiper fully supports disabled, locked and broken screen iOS devices. LockWiper can easily unlock a 4-digit and 6-digit passcode, a Touch ID or Face ID locked iPhone/iPad. If you’re using the latest iPad or iPhone, you don’t need to worry, LockWiper can conveniently reset your broken screen iPhone without hassle. Step 1: Download and install iMyFone LockWiper on your PC. Launch it. 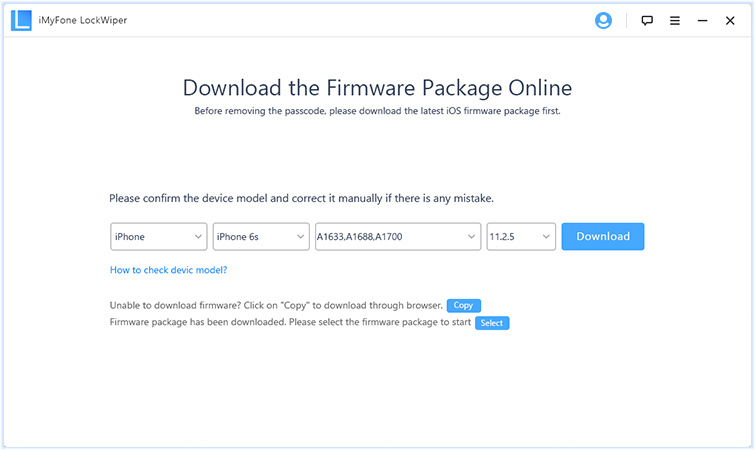 Step 3: LockWiper will show you the guide to boot your iPhone in DFU mode. 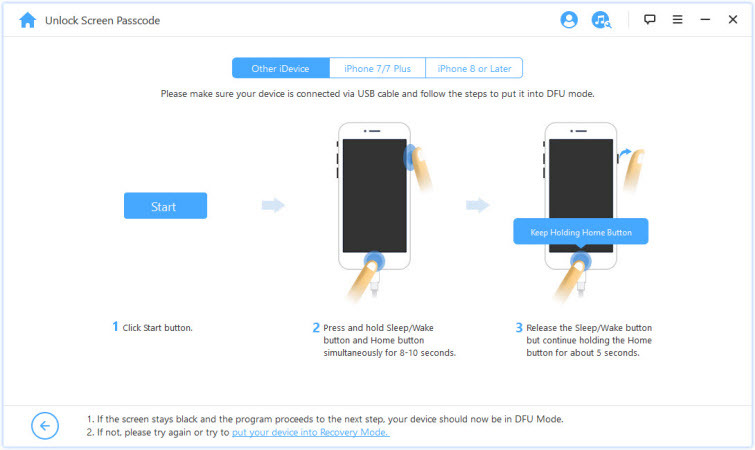 Just follow the guide which is match your iPhone model to get into DFU Mode. 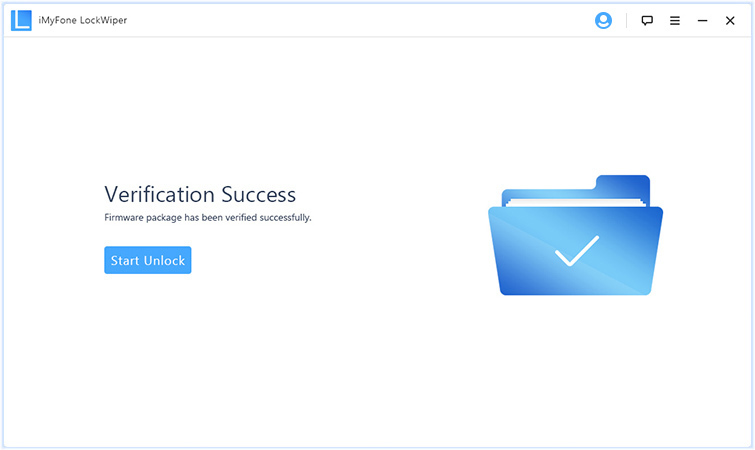 Step 6: If the verification succeeds, click on “Start Unlock” to begin the unlocking process. Step 7: Please read the notice carefully and enter “000000” to double confirm you are agreeing to unlock your device, then click “Unlock.”. What you need to do next is to wait for it to complete the unlock process. As you can see, it's easy to use LockWiper to reset your broken screen iPhone. 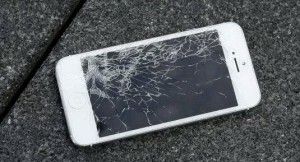 If you have a idevice with broken screen and you want to reset it. Feel free to donwnload it and have atry. 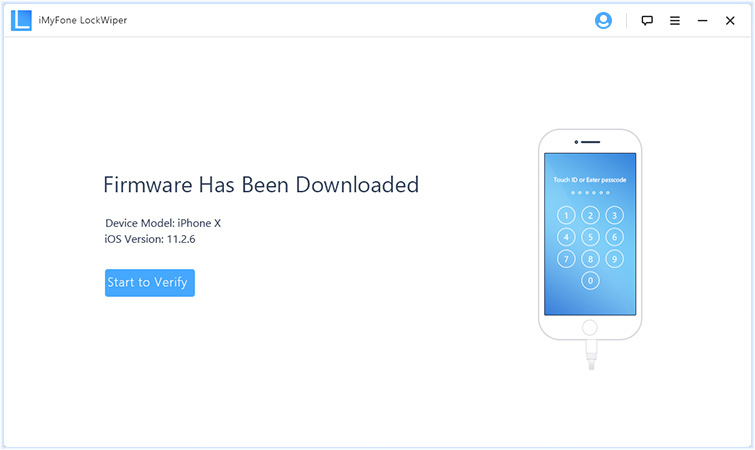 Factory resetting an iPhone through iCloud’s Find My iPhone feature has always been a good way to prevent data breach especially for missing or stolen iPhones. This service is also suitable for erasing iPhones with broken screens. However, before this could work, you’ll need to have enabled your Find My iPhone iCloud feature on the iPhone before the screen broke. Step 1Visit www.iCloud.com, and log in with your Apple ID. Step 2Click Find My iPhone > All Devices. Step 3Select the screen-broken iPhone, and select Erase iPhone. This would perform a factory reset on the device. Once you've made up your mind to factory reset your broken-screen iPhone, it’s pertinent to back up your recent files before erasing your phone storage memory. 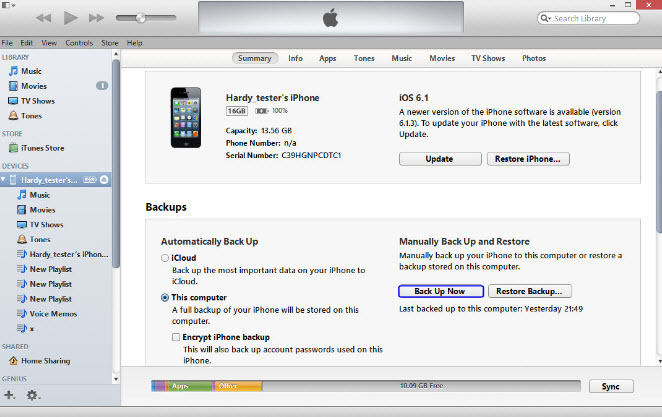 We've shared two ways to back up your iPhone: iTunes and iMyFone TunesMate. Step 1Launch iTunes on your PC/Mac, connect your iPhone to your PC/Mac and trust the computer on your iPhone. Learn how to trust a computer on iPhone with a broken screen. Step 2Select your iPhone from the top bar on iTunes window. Step 3Click "Back Up Now". Step 4To check if iTunes backup is successfully completed click Summary. Look under Latest Backup to observe the date and time. A better method of backing up a screen-broken iPhone without iTunes is via iMyFone TunesMate. 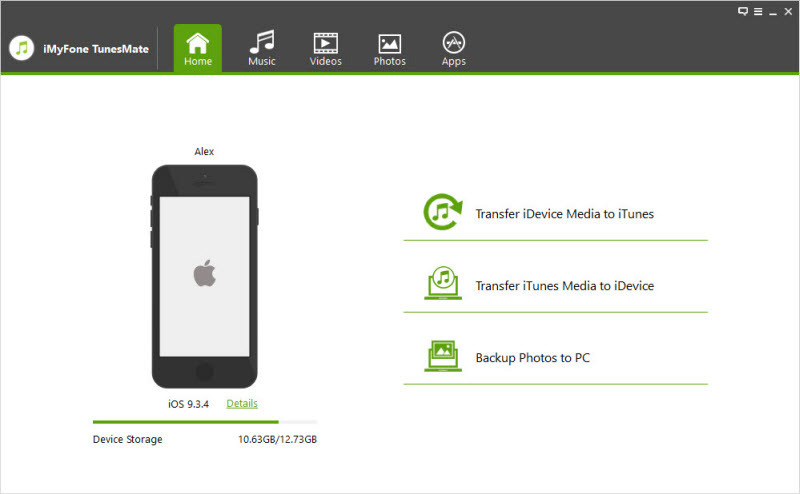 This computer-based software can help you to freely transfer your media files from a screen-broken iPhone to a Mac or Windows computer. Two-way Data Backup: back up data either from iPhone to computer or from computer to iPhone. iTunes Library Restorable: restore previously damaged or corrupted iTunes library. Support all data type backup: back up all kinds of iOS data or media file such as music playlist, podcasts, audiobooks, photos, videos, etc. Step 1Download and install TunesMate on your computer, and connect your iPhone to your computer using a USB cable. 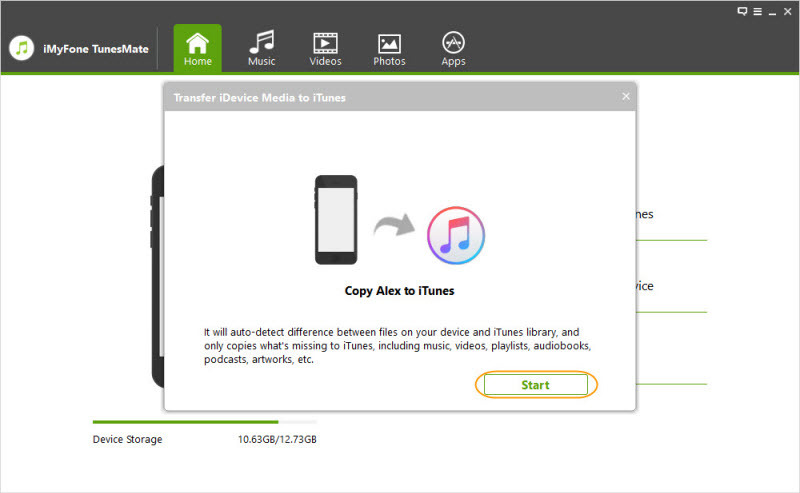 Step 2Click "Transfer iDevice Media to iTunes" tab to scan your device. Step 3Click "Start" tab to transfer your media files to computer.